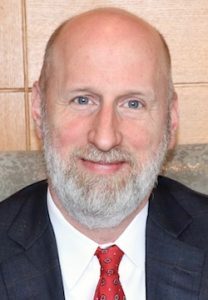 Recently tapped to be a TIME Magazine columnist, attorney David French has long served with conservative groups. He discusses the Peace Cross case — and scandals engulfing the SPLC. A public memorial in Bladensburg, Md., commonly known as the Peace Cross, honors 49 local men who fought and died in World War I. It was dedicated in 1925. The American Humanist Association has recently challenged it as unconstitutional at the U.S. Supreme Court. Since a century ago when Emily Post defined rules for public etiquette, Americans have been urged to avoid discussing politics and religion. Yet at that intersection, important issues affecting society are debated and often decided. Religious liberty attorney David French, past president of the Foundation for Individual Rights in Education and former senior counsel with Alliance Defending Freedom, often broaches these topics — despite pushback he receives. Along with his prolific work in National Review, French recently joined TIME Magazine as a rare conservative voice in the nation’s most-read newsweekly. At the National Review Institute Ideas Summit, he spoke about current religious freedom battles. The interview has been lightly edited for clarity. Some contend expressions of faith should be relegated to within the walls of a congregation. Why do you see this view as incomplete? David French: The tell for that view is “freedom of worship.” Some think: You’re not messing with me in church, awesome. But the First Amendment protects the free exercise of religion. Your religion is exercised inside and outside of your church, synagogue, mosque, or what have you. It goes with you wherever you go. With the First Amendment, the easiest possible thing to say is the state should not interfere and intrude within the walls of a congregation. Then it gets a lot more interesting when you have people of different faiths mixing, mingling, working and serving together around the country. How do you protect these zones of autonomy and rights of conscience, at the same time without encroaching on or conflicting with other Constitutionally protected rights? That’s where the real friction and energetic challenges to First Amendment jurisprudence kick in. It’s not, Do I have a right to worship? But: Do I have a right to freely exercise my religion? Connected with that, an awful lot of free exercise cases are also free speech cases. The exercise of your faith is expressive most times, so there’s going to be a free speech component as well. One might say free speech really exists to protect offensive speech. French: That’s right. With popular speech, popularity is its own protection. The Supreme Court recently heard the Peace Cross case, regarding a World War I memorial in Maryland. As you look at how mainstream media cover these cases, what is often missing? French: The Establishment Clause of the U.S. Constitution is probably the most legally perverted clause in the entire Bill of Rights. Examine what is the original public meaning of the Establishment Clause versus what Establishment Clause jurisprudence has actually become, and the gap is enormous. This clause was, quite literally, prohibiting the establishment of a specific state religion in the same way that the British monarch was the head of the church. They didn’t want [to] establish a state church. The idea that a memorial cross establishes a church is kind of laugh-out-loud funny. It’s only a competitive case because, for years, the Establishment Clause got morphed into: it is an establishment of religion for the state to acknowledge religion. Or even treating religious organizations in the same way it treats secular organizations is somehow [a violation]. A lot of the battle over the Establishment Clause is: will we go back to the original public meaning of this clause? I doubt we will actually, anytime soon. We’ll probably claw back a little bit of the ground that has been lost over the last 40 years. Ironically enough, the claw back is occurring as America is secularizing. There’s going to actually be fewer rather than more instances where the government will engage in religious acknowledgement or prayer or religious symbols in the public square. It’s simply because people in many parts of the country are less religious. As the Establishment Clause is probably going to be better understood according to its original meaning, it’s a sad irony that it will mean less because the culture has changed. How do you see this case on the Peace Cross in Bladensburg, Md. being decided? French: There’s a good chance it is decided 7-2. The grounds for the decision are going to be very interesting. You could have 7-2 on who wins and who loses, but 5-4 on the reasoning, with two dissenting opinions. The really big question in legal circles is, Will the court decide to do away with the Lemon test? The Lemon test has developed over the years as the Establishment Clause test, a multi-part test that has some gray area to it. It’s not something the Founders would have recognized and is overdue to be wiped away. Everyone is watching on what basis this case will be decided. 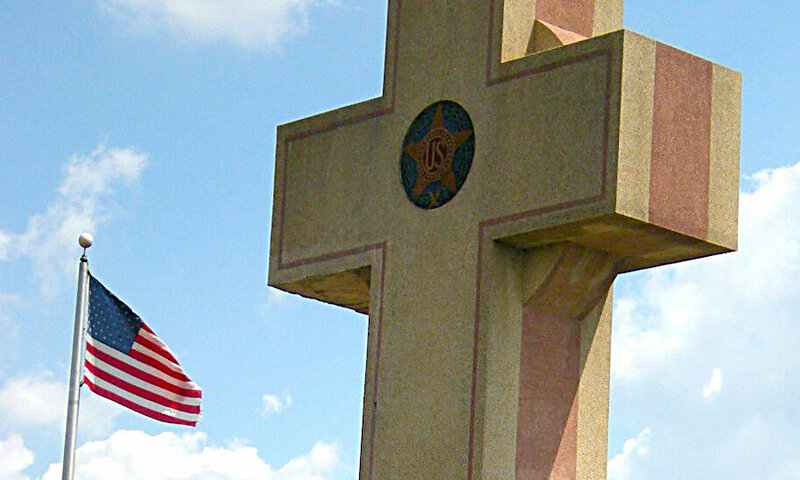 The Supreme Court could say: Come on, of course you can have a cross to commemorate those who fell in World War I. Next case! And it’s no more than that. Or it could be: This is not only fine to have a cross, but we’re going to substantially revise Establishment Clause jurisprudence. There are probably seven votes for “This is fine, next case.” There are probably only five votes, at most, for: Let’s uphold the cross and substantially revise jurisprudence. You have long served with Alliance Defending Freedom, in recent years attacked by the Southern Poverty Law Center (SPLC). Today, massive upheaval at the SPLC has been under-reported. Could you sum up the latest headlines? French: The under-reporting is changing. Essentially, what happened is the founder of the SPLC was fired — asked to step down. We don’t know the specifics, but there were allegations of misconduct and mistreatment of employees. Thanks to mainstream media reporting, we know that a number of African American employees wrote a letter to management complaining about their treatment at the organization. It’s ironic considering this is an organization designed to combat racism and discrimination. These staff were complaining about mistreatment and discrimination on the basis of race. So the president of SPLC was asked to step down. Then the New Yorker runs a long essay by a former SPLC employee who says the place is not what you think it is. The New York Times reports a long piece describing many of these problems within the organization. Then a left-wing publication called Current Affairs took a real look at the meat and potatoes of SPLC’s work, such as its Hate Map. They said a lot of this stuff is an outright fraud. All of a sudden, three elite publications — the L.A. Times, the New Yorker, and the New York Times — have ran exposés of greed, discrimination and mistreatment in this organization. For years, conservatives have said the SPLC is deliberately misleading. Its depictions of conservative ideas and values are so off-base that it is hard to believe they were made in good faith. What has SPLC stated that is inaccurate? And how should people respond today? French: They describe Alliance Defending Freedom as a hate group. Anybody who knows anything about ADF knows that adherence to Christian religious orthodoxy is not hate. They’ve called people like Charles Murray a “white nationalist,” based on an incredible distortion of his work. I can go down the line. They were forced to apologize and pay millions of dollars to a British Muslim. He was a former Muslim extremist who formed a foundation to combat extremism. SPLC called him an anti-Muslim extremist, which made no sense. But they stuck to it. Then they opened an extremism file on Dr. Ben Carson, then later were forced to apologize for that. 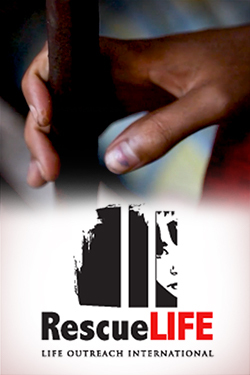 Some of their grotesque misrepresentations have been used by violent people to justify their violence. In 2012, a guy walks into Family Research Council headquarters and opens fire. A heroic unarmed building manager, who was shot, stops the shooting. But the gunman chose his target because they were labeled an “anti-gay hate group” by the SPLC. Charles Murray was physically attacked at Middlebury College. Why did students attack this 74 year-old scholar? They thought they were attacking a white nationalist, according to the SPLC. In spite of all this garbage and nonsense, some mainstream organizations and media entities will still credit their hate group “reporting.” Amazon eliminated the ADF from its Smile program, a charitable giving program, because of the SPLC Hate Map. Because they had some relationship with the ADF, several good, decent and excellent young lawyers who are nominees for judicial positions are today being tarred and feathered. One headline in Vox stated: “Senate Confirms Judicial Nominee Who Once Interned for Hate Group.” Oh my gosh, a hate group, who was it? It was Alliance Defending Freedom, which has won multiple cases at the Supreme Court in the last few terms. The SPLC has no credibility and is laden with hypocrisy. It’s coming apart at the seams, and it is high time mainstream organizations stop crediting it. As long as it doesn’t commit libel, slander or defamation, the SPLC can say what it wants to say about who’s a hate group and who’s not. But no one has to pay attention to it. That’s what we all should do. Explore The Stream’s complete coverage of religious liberty issues, and sign up to receive top stories every week.